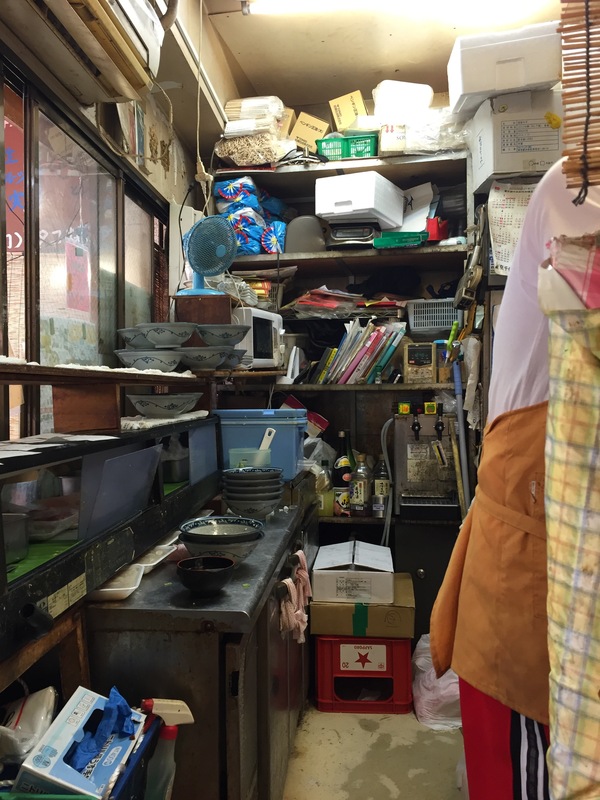 The Ameyoko Market is essentially a mammoth maze of streets that are home to 500-odd stalls, selling everything from dried fish to nail polish. It was originally opened as a black market post-war, but it’s visited by what seemed like everyone in the city now. 10 minutes or so later, this bowl of heaven was ceremoniously plonked in front of me. The most incredible, fresh, soft tuna I’ve ever had. Fatty tuna, minced tuna, belly tuna, it was all there, and it was all so melt-in-your-mouth soft you barely had to chew it. All laid on top of a generous serving of rice, it was the perfect lunch to fuel up for the rest of the afternoon exploring. Don’t be scared of the long lines at these markets – long lines = good food! 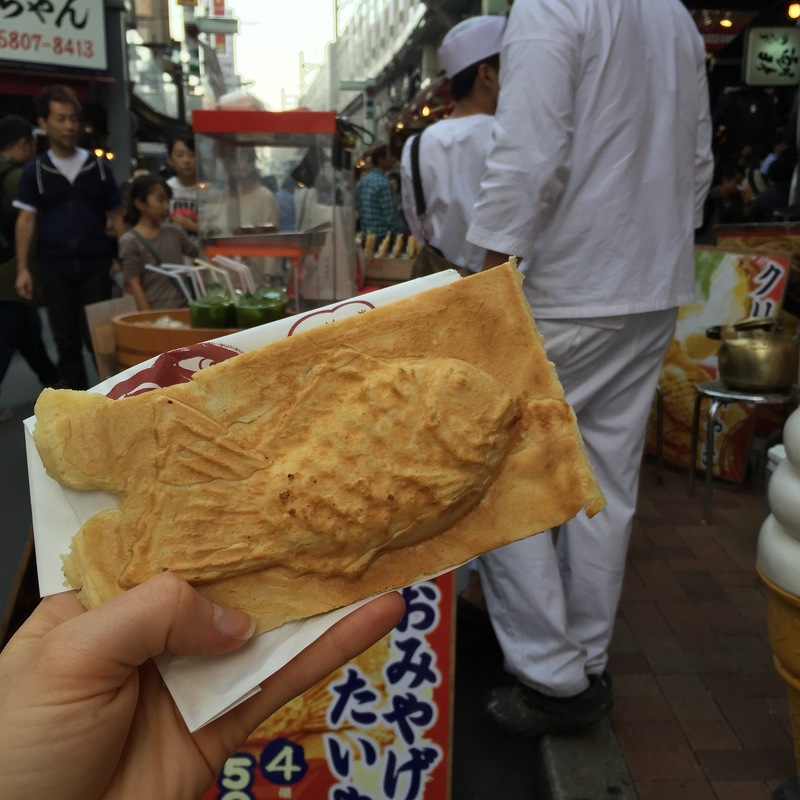 Winding my way around the market, I came across another line an hour later – taiyaki! Custard filled, fish shaped waffles. Yes please! Again, I joined the line, pointed to the picture, and got my steaming hot custard sea creature. Easy to see what all the fuss is about – these things are unreal! Creamy smooth vanilla custard inside a golden crisp waffle, perfect hand held market food. 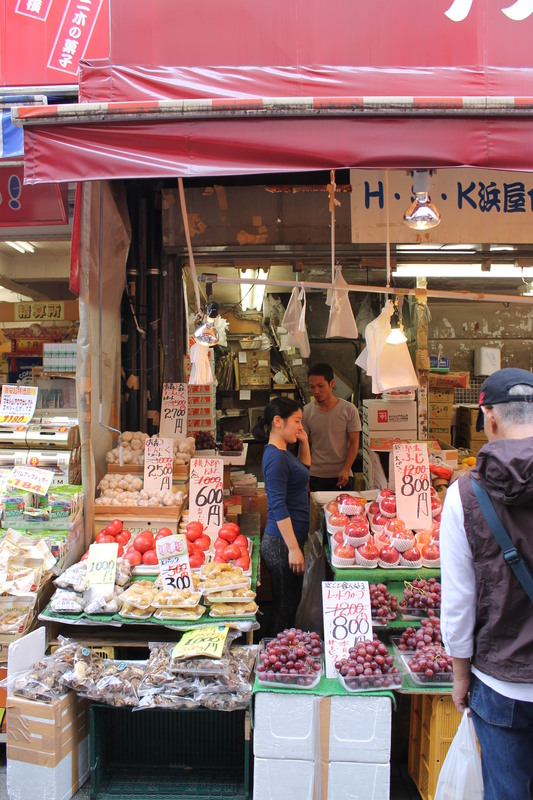 As for shopping, everything did have marked prices, so bartering didn’t seem to be encouraged or accepted at all. That said, the prices were all pretty reasonable; I certainly had no need to barter for anything I was looking at. It was pretty easy to get to and find, only a short train ride away from my accommodation in Shinjuku, and well and truly worth a visit! This looks great! I also mapped it out as one of the markets I want to visit in Tokyo. I’ll be staying in the Ueno area too 🙂 Looks like you had amazing sushi!! The sushi was incredible!!! You’ll love the market, it’s got such a great atmosphere 🙂 when are you going?! Great! I’m going for two weeks in April 🙂 Will be visiting Kyoto and Osaka too so can’t wait!